Kansas City, Mo. 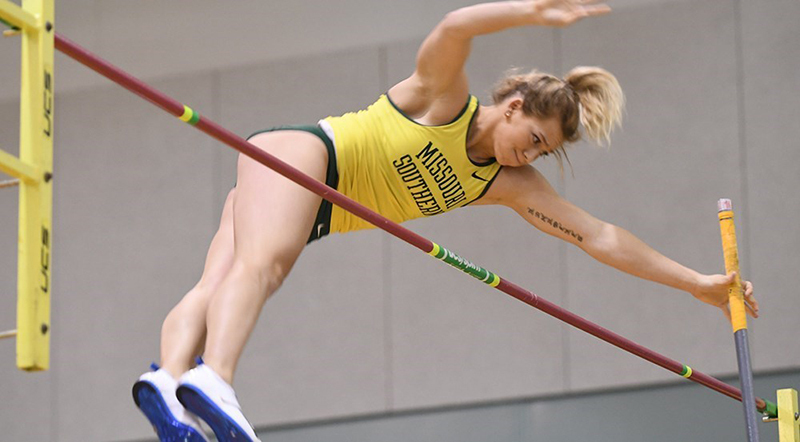 — For the second-straight week and third time this season, Missouri Southern junior pole vaulter Emily Presley has been named the MIAA Women’s Field Athlete of the Week, the league announced today. Presley, a junior from St. Clair, Mo., won the pole vault for the third week in a row and also for the third week in a row had an NCAA AQ as she took home first with a height of 13-05.25. Presley still ranks as the top pole vaulter in Division II. Presley and the Lions will be in split action this weekend with athletes at both the Pittsburg State Gorilla Classic and the Tyson Invitational at the University of Arkansas.